The 5th annual Market to Market Relay Iowa will feature 350 teams, starting in 8 different waves leaving from the bell tower in Jefferson, Iowa. Waves will begin at 5:45 am, with the last wave leaving at 9:15 am. You can look up your team’s information (including your team name, team bib number, wave & start time, and estimated time of finish) here. Printed copies will be included in your race bag at packet pickup. You can view or download the 2017 Race Guide here. 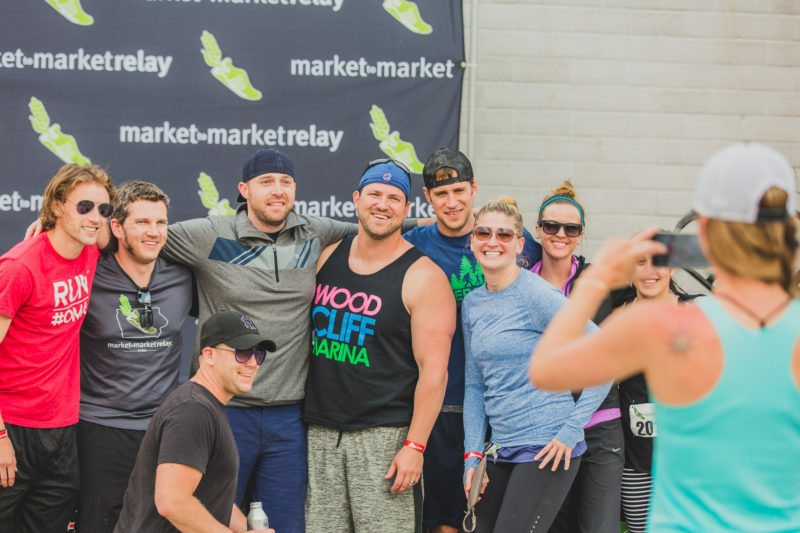 Thanks to our friends over at Ervin & Smith, we’ve launched a new Market to Market Relay website! With their design, you’ll now be able to find all your race day information clearly. Explore the new website here. Join the fun of stuffing race bags just a few days before the race on May 11th, 2017 at Animal Rescue League of Iowa in the Des Moines Metro. You can meet other runners, get your team bag early, hang out with the Pink Gorilla Events team, and eat some free pizza! You can register to help stuff team race bags here.